TOTAL SERENITY awaits on this spectacular property with SWEEPING Views of LAKE MIONA and a WILDLIFE PRESERVE. 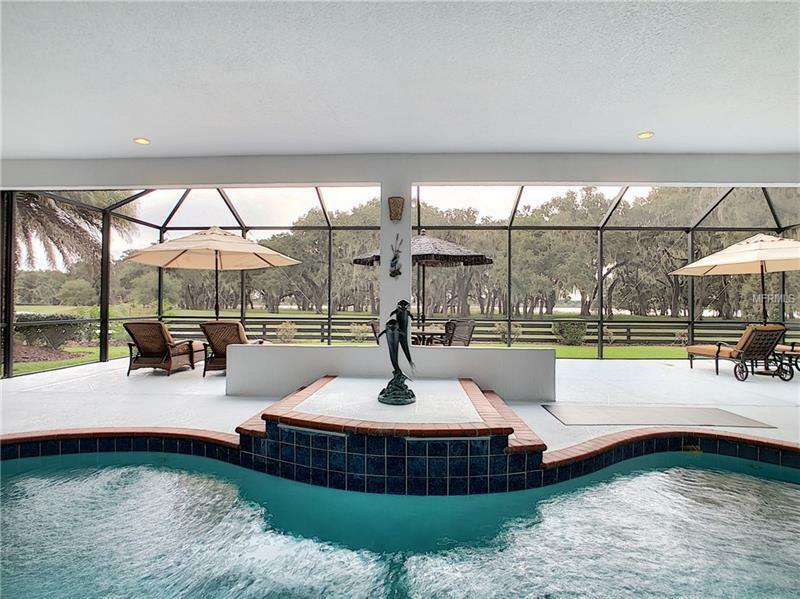 Located in the PREMIERE Community of BRIDGEPORT of LAKE MIONA this property is one of a kind. To truly appreciate this wonderful property view the 3-D and video tours. The amazing outdoor living space boasts a Solar and Gas HEATED free-form POOL with Water Feature opening to a 1500 sq.ft. (+/-) Birdcage â all to enjoy the PEACEFUL setting with complete PRIVACY & COMFORT with SE Exposure. Inside is equally as impressive with over 3700 sq.ft of living space. NEED IN-LAW QUARTERS? This ST. AUGUSTINE Premier has 2 Master Suites â each with spacious Walk-in Closets Cultured Marble Counters Sinks and Vanities. The main Master has a Lg. SOAKING TUB in addition to the Tiled Shower. With a total of 3 Bedrooms and 3 Full Baths (one with direct access to the pool) youâre sure to easily accommodate family and friends. The heart of the home the Kitchen is spacious and open to the breakfast nook and Family Room. Offering plenty of Cabinets Corian Counters Double Oven Closet Pantry and Large Breakfast Bar â great for entertaining plus plenty of Windows to enjoy the view! Impossible to list all the great features.. such as Electric hurricane shutters Paver drive 2 AC Zones Lightning rods..and a Tandem Golf Cart Garage. Call today for a private tour of this captivating property! Tax line reflects property taxes only. CDD line reflects combination of annual maint. and fire dist (1189.99). NO BOND!